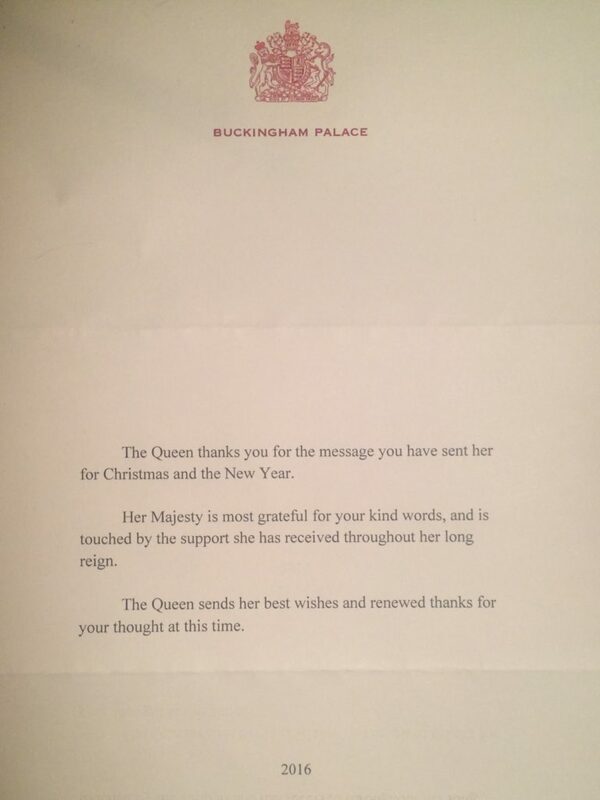 Today – 6 February – on the 64th anniversary of The Queen’s accession to the throne, I received a reply to the card I sent to Her Majesty and Prince Philip. This year there is no personalization and no signature of a lady in waiting that we have seen in other letters that we have received. This historic year for Her Majesty no doubt generated an onslaught of mail that must have been truly difficult for the staff to manage so I don’t blame them for doing this sort of reply.